Anushka Sharma is gearing up for the release of Pari, her third production venture. The film went on floors in June 2017. On the day she started shooting for Pari, Anushka posted a first look of sorts on Twitter and that was enough to get everyone talking. You see, it is not everyday that the first look of a film — announcing the first day of the shoot — leaves you shaken. But this one totally did. And when Anushka posted another poster announcing the release date of the movie, she further upped the curiosity. Ever since then fans have been wanting to know more about the film, but the actress and her crew are tight-lipped about the details. So not much is known about Pari. As many have guessed it right, Pari is indeed a supernatural thriller. After looking at the posters, many are also assuming that she is playing a ghost in the film, but that is not the case. Anushka plays an abuse victim, and despite not playing a ghost, this will be her spookiest character ever. Hindi horror films have often got the rap for being unintentionally funny with their terrible acting, overload of creaky door sounds and evil men parading in bad prosthetic make-up. 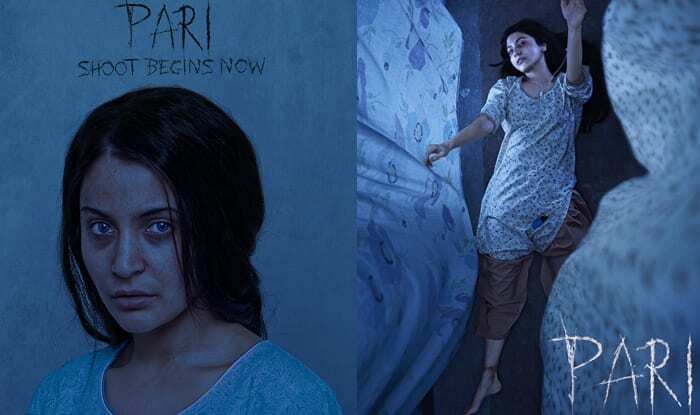 Pari, the supernatural thriller starring Anushka Sharma and Parambrata Chatterjee with an 18+ rating in the UAE, doesn’t suffer from those near-fatal flaws. Be warned though, it’s heavy on the gore with its bloody twists. But it doesn’t bore you. As far as atmospherics go, the incessant grey pallor with heavy rains throughout the film create the perfect setting for doom and gloom. Sharma, who plays the uncivilised Rukhsana, is in top form as a modern-day feral Mowgli. Her introductory scenes are shockingly real and send a chill down our spine. She must take a bow for getting her hands dirty, literally, in this one. Without a scratch of make-up on, she’s at once vulnerable, vile and vicious. Chatterjee is a quiet presence, but he still manages to leave a lasting impression. This film is well-cast with actors such as Rajat Kapoor, the leader of a doomsday movement — a controversial group that takes pride in exorcism. Their methods of annihilating evil are visually graphic and therefore disturbing, but credit has to be given to the director for not holding back. Here’s a horror film that isn’t subtle — every gory twist is laid out in front of our eyes. Is it necessary? Not always. But do you look away? No. Pari is the cinematic equivalent of a driver rubber-necking when there’s an accident on the road. You know you must look away, but you just can’t help yourself from turning your neck to the site of the accident. It’s compelling, but leaves you eventually disturbed. While Sharma and Chatterjee make an unlikely pair, their relationship trajectory isn’t wholly believable. You are not alone if you feel dubious at the romantic twists in this horror film. The first half of Pari, which means angel, seems to suffer from schizophrenia with its attempt to blend romance into a plot that’s decidedly dark and ghoulish. In a perfect demonic world, there’s no space for a romantic song, but the makers of Pari march ahead and still stick in a song anyway. However, the director seems to get his command back in the second half as its morbidity quotient goes up. There are twists that aren’t predictable, but the climax suffers from a touch of unnecessary melodrama. Kapoor as the determined exorcist isn’t an easy man to like, but that’s his victory in such a film. Watch this if you are in the mood for a gore-filled horror film. So there you are! Pari is set to release on March 2, 2018 and you should already mark the date on your calendars. Also, you can thank us later.